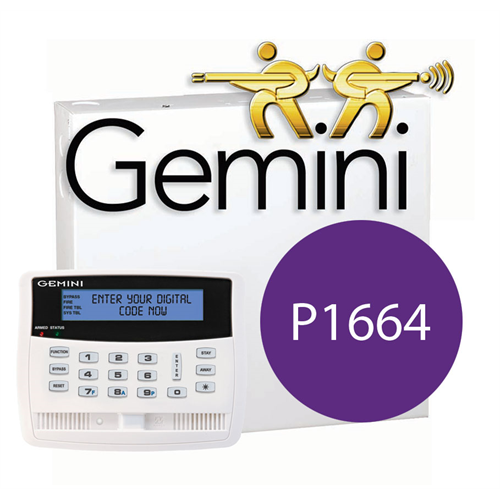 The Gemini P1664 is an expanable yet affordable alarm system for home and business protection. It has 8 wired zone inputs on board and can be expanded to 64 zones using multiplex expansion boards and alpha keypads. It supports up to 64 users and 4 partitions/areas. Add a Napco wireless receiver to support wireless sensors. 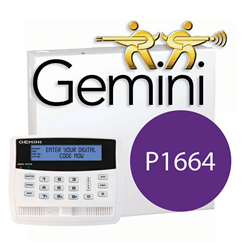 The included K1VPS wired keypad is the most advanced of its kind with a built in PIR motion sensor, talkig voice prompts, built in siren and built in 4 zone expander.